Having an eco-friendly home is considered to be a thing of the future. However, the rapidly increasing pollution levels are turning into a thing of the present, as more and more people have become environmentally aware and are ready to switch to eco-friendly products in order to prevent alarming figures from increasing any further. Most people start off by separating and recycling their trash. The next step is to reduce the use of plastic waste. Moving on, reducing the electricity we consume will also help. But the ultimate level in trying to do what’s best for the planet is living in an eco-home. As you will come to understand after reading this article, an eco-friendly home is not just one built from sustainable materials, but it also helps you build a green home cheaply, plus conserve heat, energy, and water. As they are focused on energy saving, they are built in such a manner as to allow as much daylight inside as possible. 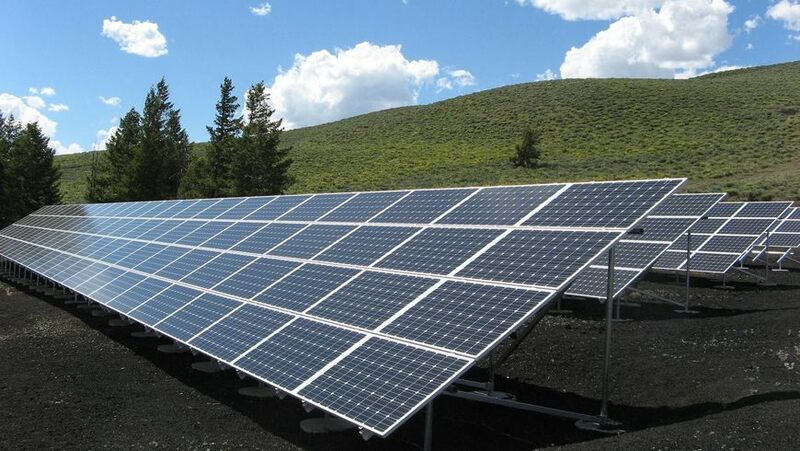 Most of them have installed photovoltaic panels or some other form of energy generator, such as wind turbines. They also have systems that allow the collection of grey water or rainwater. Eco-homes are also made of natural materials, avoiding the use of plastic or PVC as much as possible. Eco-friendly homes have increased levels of thermal insulation, thus conserving heat during the colder seasons and reducing the consumption of thermal energy. They are enhanced with several layers of glass for the windows, as prevent heat loss as much as possible. Some eco-homes have composting toilets. 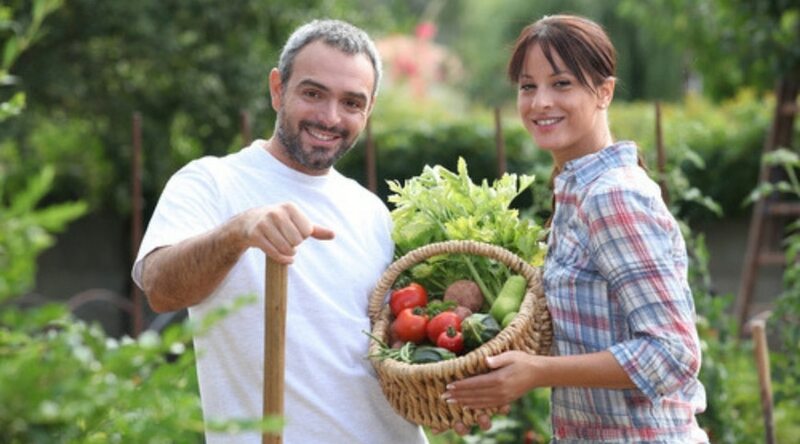 Most eco-home owners are focused on growing their own vegetables via several sustainable methods. This helps create oxygen and regulate temperatures around the house. There 3 main things that actually characterize a green home; being energy efficient, using sustainable materials, and having a green yard. Solar panels are a great way to conserve energy, even if they just heat up the water for day-to-day use and not generate actual electricity. LED lighting is currently one of the most energy saving solution, as LED lamps consume less electricity compared to the average old-fashioned light bulbs. 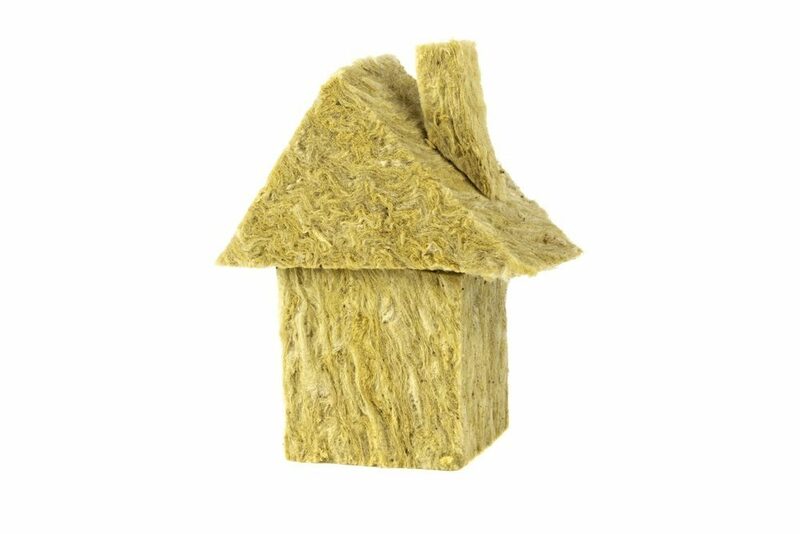 Insulation is a super important factor in the development of cheap green homes. A house which is not properly insulated will lose a lot of heat during the winter, thus increasing your need for more heat and leading to an increase in thermal energy consumption. The best sustainable items in the word have a low to non-existent carbon footprint. But what is this carbon footprint we keep hearing about? The total amount of emissions produced by man through human activities is expressed in the form of carbon dioxide (CO2). The more CO2 something produces, the more harmful it is for the environment. A global calculation of carbon footprint is almost impossible, as there are so many factors to take into consideration. General knowledge suggests that in order to calculate carbon footprint, you need to take into account all the daily activities that result in the creation of greenhouse gasses. Let’s take driving to the grocery store, for example. Your car consumes a certain amount of fuels, which is one of the primary sources of these gasses. The store that you’re driving to is a heavy electricity consumer, which results in its very own carbon footprint. The items that you buy from inside that store each has its own carbon footprint, resulted from the growth/manufacturing/delivery of each of them. The employees of that particular store who drove there also produced CO2. By adding all these numbers, you get the carbon footprint for this specific activity: driving to the store for groceries. There are several ways for you to start reducing your carbon footprint right away. You can switch to a more efficient car. You can purchase electronics that are more energy saving. You can opt for food from local farmers, as to avoid consuming those that require a lot of transportation to be delivered to a store near you. As we mentioned earlier, building an eco-friendly home implies using a bunch of sustainable and natural materials and avoiding plastic and other harmful ones. But what exactly are some of the materials used in the construction of an eco-home? Precast concrete is one of them because concrete is a material that can be recycled. Precast concrete is poured into molds over wire or rebar. After being cured and hardened, it’s ready for shipping and construction use. Stones can also fit into the category of natural materials, but their story is a bit tricky. Stones are kind of expensive and if you order them from somewhere far away, their weight will add significant sums of money to the overall cost of transportation. If you can purchase stones locally, that would be a much better deal. Stones are preferred because of their durability and low maintenance requirements. They are great for building foundations or walls. Recycled wood is also a common material used in the construction of eco-friendly homes because it prevents cutting down new trees to produce more timber. Aside from being used in the actual construction of the home itself, recycled wood is also used as a form of decoration, many people preferring it for their floors or wall panels due to the vintage look. As you may already know, bamboo is used in the fabrication of many eco-friendly products (from toothbrushes to cutlery), so it makes senses to use it building eco-homes. It’s commonly used in building walls and floors and it commonly serves underneath other types of materials. The reason why bamboo is sustainable is that it grows rapidly compared to other types of wood. Earth has been used in the construction of homes for many past centuries. It has good insulation properties, but it isn’t commonly used in countries such as the USA, but rather in China and South America. Cork is also a natural material, as it is harvested from tree bark, without the need to cut down the tree itself. On overage, it takes about 7 years for bark to regrow, so that’s definitely a plus. Since cork has hypoallergenic and anti-microbial properties, it’s also a healthy material and it can be used thanks to both its insulation and shock absorption properties. Using regular steel in home construction is a very energy consuming process. That’s why recycled steel is the way to go if you want to build a sustainable and eco-friendly house. Just as the name suggests it, steal from older construction is reused in structures such as beams. Using recycled steel to build a home equals to a 75% energy saving compared to creating new steel through forging and smelting. Wool coming from sheep is a natural material that grows very quickly and doesn’t require sacrificing the animals to do so. After being sheered, sheep start growing a new batch of wool. This material can be used in walls or ceilings, as it has great insulation properties and can preserve heat inside your home during the cold season. Straw bales are very well known for their great insulation properties and are often used in ceilings, as to converse warmth in the winter and keep out heat during the summer. Straw is eco-friendly as it’s very easy to replant and harvest. Making straw bales has little influence on the environment. When looking into sustainable materials, it is important to consider some of the criteria that set them apart from materials that are causing harm to the environment. Materials used in the construction of eco-homes need to be renewable and recyclable. It’s also important to consider how fast the resource can regenerate. Using bamboo is more environmentally friendly than cutting down pine trees, as the former grows way faster and doesn’t cause another harmful phenomenon, such as deforestation. Sustainable materials should also be energy efficient, as energy consumption is also responsible for the harm induced upon the environment. An energy efficient material is demanding neither in its production phase nor in its resulting energy demand. Take the production of steel, for example. It’s a lengthy and energy consuming process that involves forging and smelting. Another important note is that eco-friendly materials don’t produce waste and don’t end up in landfills. That’s why it’s important to focus your attention on purchasing materials that use other recycled materials in their fabrication process. By combining several natural materials, man has created a series of manufactured products that are often used in building sustainable homes. ​Cotton insulation is growing in popularity amongst its fellow sustainable materials. It’s made from recycled cotton materials and the treated with boric acid to gain rest resistant and fireproof properties. It’s greatly used for its insulating properties, often being compared to fiberglass. Biocomposites are a great way of combining several materials that would generally go to waste. Biocomposites have grown in popularity up to a level where crops are actually being harvested and grown to be used in the manufacturing of such products. Some examples of fibers are those derived from cane, flax, leaf fibers from palm and banana trees or seed fibers from cotton. They are commonly used for structural elements that range from panels to beams, but also for building non-structural components, such as furniture, windows, door or even roof tiles. ​Natural paint is a great way to paint your house in the color of your choice without causing harm to the environment. These paints don’t emit any volatile organic compounds, which is just a fancy term for organic chemicals. They use several natural materials, such as clay, minerals or plants and they come in a wide variety of colors. Depending on what they are made of, these natural paints have several properties. For example, milk-based paint is more resistant to chipping, while clay paint is mold resistant. Sorghum features woody stalks that are made from molasses production or crops that used to be burned, leading to air pollution. Thanks to man’s interest in producing less waste, it is now used to make panels and boards that are used in the construction of eco-friendly homes. It provides several meaningful usages, such as paneling or flooring. Since it takes months to grow every year, it is one of the most sustainable building materials available. An eco-home is based on the idea that you build a house that’s low on energy consumption while producing as less waste and environmental damage as possible when doing so. An eco-home is characterized by a smart design. Designing a home with smarts means making sure that you benefit from natural sunlight as much as possible. There is such a thing called thermal modeling, which allows you to use computer programs to test the house’s performance in terms of water consumption, thermal energy, and regular energy, as the design evolves. This allows architects to figure out how to design a house that benefits from sun heat and light as much as possible. When looking to design an eco-home, it’s important to remember that the bigger the house is, the bigger the bills will be. So, instead of just adding more rooms to the design of the house, learn to use the space you have as efficiently as possible. 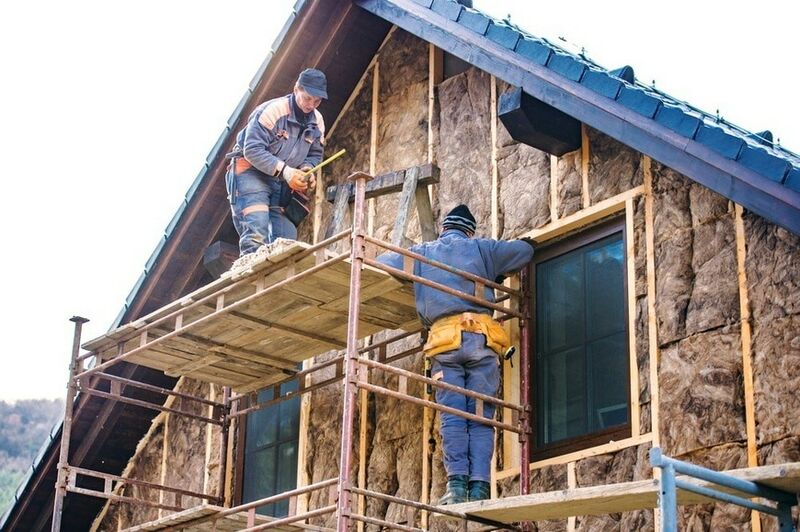 As we’ve previously mentioned, insulation is super important in saving energy and living comfortably throughout both summer and winter seasons. Proper insulation won’t just prevent the loss of heat, but it will also make sure that your house stays cool when temperatures outside are high and unbearable. Good insulation means the elimination of cold bridges as much as possible. Cold bridges are gaps or faults in the insulation process that cause cold spots. This is something that favors the apparition of mold, not to mention that it causes your house to lose heat. Windows play a very big role in the efficiency of your house. A solid number of windows that are correctly placed will guarantee that the sun’s natural light gets inside the house, reducing the need for artificial light and saving you money. Triple glazing windows are a great solution, as long as you take into account that no air leakage needs to occur. That required very good window fitting. Another thing that people need to take into account if they’re looking to live in eco-housing is ventilation. This can cause heat loss if not done properly and mechanical ventilation heat recovery units are the best solution for solving that problem. This unit will help extract moisture from bathrooms and kitchens and take it to a heat exchanger. This preheats fresh air extracted from the outdoors and then pumps it into several rooms inside the house. These devices will help filter air, as well as provide higher ventilation rates compared to those in homes that don’t have such a unit. ​Wind turbines are also a characteristic of eco-homes built in areas where wind can benefit the generation of electricity. While wind turbines aren’t exactly a sight for sore eyes, they help harvest kinetic energy, thanks to the blades moved by the wind breeze. Basically, the blades’ movement turns the middle shaft which then feeds an electricity generator. Wind turbines can be installed in the form of a standalone tower, but they can also be fixed on roofs. ​Biomass boilers are gaining more and more popularity amongst eco-homes around the world. Compared to electrical boilers, biomass boilers are like an oven that burns biological plant materials and turns them into heat and electricity. They are often used to generate heat and hot water by burning wood. They are made of a stove that burns the materials thrown in to heat up a room. More advanced models have a back boiler that heats water as well. Taking a step forward, these boilers can also be connected to central heating systems, to provide heat for your entire home. It is no secret that we need as many plants as we can in order to keep our planet and ourselves healthy. That’s why green roofs are the latest trend in eco-friendly homes. Basically, a green roof is characterized by the installations placed on top of buildings that sustain plant growth. They are wonderful DIY projects if your roof is flat surface you can actually stand on without falling off. They can be found on any type of building, from tool sheds and garages and up to intimidating skyscrapers. Systems that harvest rainwater may not seem like that big of a deal, but they can actually save a lot of water in the long run. Having a system for rainwater harvesting is like trying to recycle water. You can’t use it to cook food and it’s not potable, but rainwater stored in tanks can be used for things like watering the gardens and crops, flushing the toilet or washing our clothes. With a good rainwater collecting system put into place, you can save up to 40% on your bills and water consumption. Another great solution for saving energy is to install thermodynamic panels. This system is a hybrid between heat pumps and solar panels, as it uses a complicated process of moving cold liquid refrigerant through the veins of the panel itself and, after being heated, is converted into a gas that goes into a compressor. This compressor compresses (obviously!) the gas and sends it to a heating element. This helps give off heat energy and eventually leads to heating up water. Now that we’ve covered the basics of what makes a home eco-friendly, let’s see some actual real-life example of manufacturers that have managed to build some of the nicest eco-houses. The micro home developed by KODA is aimed at more than just solving a problem with sustainable housing. It was created in order to respond to housing shortages in several European cities. It is made from maintenance-free concrete, with a floor plan that measures 25 square meters. Despite its rather compact size, the house contains everything needed for decent living, from separate bedrooms, a bathroom, and a small terrace. The roof is enhanced by a set of solar panels and the house is equipped with efficient LED lighting. It takes one day to build this modular home and within seven hours, you can disassemble it and move it to another location. Another modular home that uses several eco-friendly technologies is the Sage House. IdeaBox has delivered a compact, but the modern solution to the eco-friendly housing via the Sage, as it features bamboo floors and energy-efficient construction. The house measures 1,014 square feet and hosts two bedrooms that face each other, large sliding glass doors and it’s amazing how much space you get from such a compact home. Hive Modular has used several ideas well put into practice to create modular homes that are ideal for suburban areas. Their houses are enhanced with lots of energy-saving solutions that range from radiant heat flooring, spray-in foam insulation and even PEX tubing used in plumbing systems (which are most heat efficient that copper plumbing). Upon customer demand, Hive Modular can also install rainwater collection systems, as well as solar or geothermal panels. 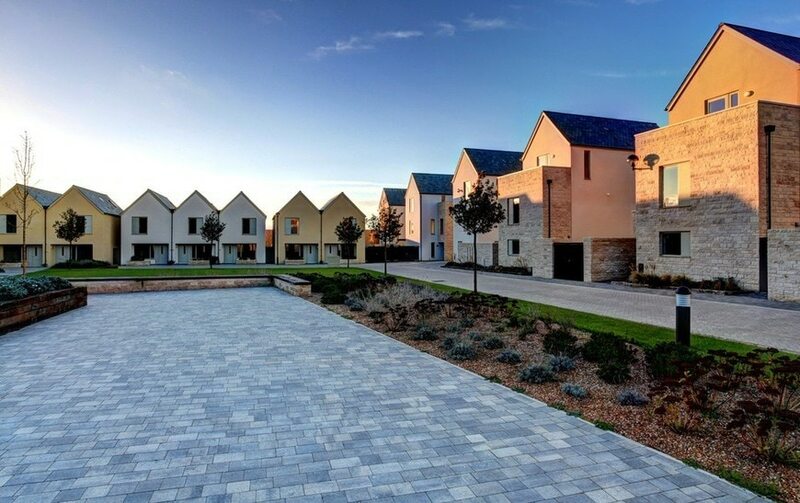 There are lots of features that make LivingHomes a the ideal choice for those looking to own an eco-friendly home. The materials used in the construction process are sustainable and non-toxic. All their housing is built from plant prefab, providing a custom way to build fast and cheap homes that make less construction waste. For the past 12 years, LivingHomes has worked together with homeowners to create projects that are healthy and eco-friendly, while tailoring to the custom designs that buyers had in mind. The company is well-known in the eco-home industry for its six-point sustainable home standards. The Z6 has a very specific name, a combination of 6 Zs: zero energy, zero ignorance, zero waste, zero water, zero carbon, and zero emissions. Committed to designing sustainable house, Greenfab is looking to help future homeowners by creating sustainable homes that can achieve LEED for Homes, Energy Star, Passive House certifications and more. All of their prefabricated items are built inside a factory, storing the items away from sun damage, mold, rust and more. And just like with all modular homes, Greenfab is more efficient and sustainable. Factory construction reduces the waste created by on-site home construction up to a significant 75%. Just because a home is designed to be eco-friendly, that doesn’t necessarily make it cheap. However, there are a lot of things you can juggle with to adjust your eco-home for lower consumption in the long run. As we’ve seen so far, eco-homes are characterized by sustainability, which means that they need to be environmentally friendly from start to finish: from construction to energy saving in the long run. That’s why factors such as natural materials and products are important, as well as how much waste was created when actually building the home. On the long-run, an eco-friendly home needs to preserve and consume as less energy as possible. An eco-home isn’t all about the materials used to build it, but also about the systems put in place to reduce energy consumption. You will sometimes have to invest more money in installing these systems and while this requires a greater upfront cost, you will save money for years to come. 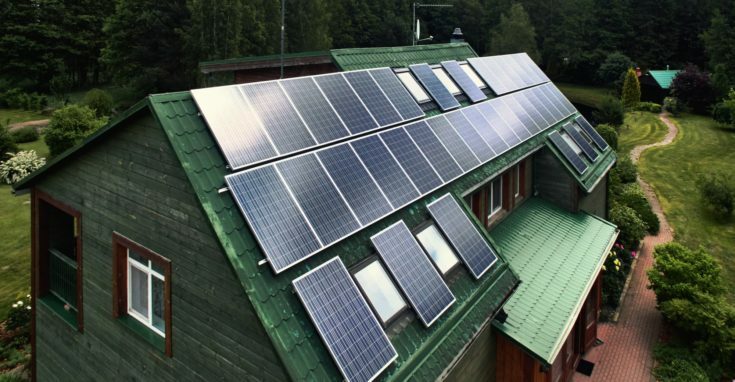 An eco-friendly home should be able to save you money on electricity (if you install solar panels, LED lighting or other low energy consumption electronics), on water bills (thanks to smart shower heads or rainwater harvesting systems) and even heating (thanks to thermal solar panels, proper ventilation systems and good insulation). So, even if you’re looking to build an eco-home for as little money as possible, you should try to think in perspective and choose the options that actually save you money in the long run.